Dr. Tsiotras is holds the David & Andrew Lewis Endowed Chair in the Daniel Guggenheim School of Aerospace Engineering at Georgia Tech. He is also the associate director of the Institute for Robotics and Intelligent Machines. His current research interests include nonlinear and optimal control and their connections with AI, emphasizing autonomous and semi-autonomous ground, aerial and space vehicles applications. He has published more than 300 journal and conference articles in these areas. 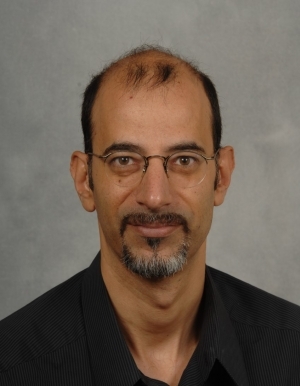 Prior to joining the faculty at Georgia Tech, Dr. Tsiotras was an assistant professor of mechanical and aerospace engineering at the University of Virginia. He has also held visiting appointments with the MIT, JPL, INRIA, Rocquencourt, the Laboratoire de Automatique de Grenoble, and the Ecole des Mines de Paris (Mines ParisTech). Dr. Tsiotras is a recipient of the NSF CAREER award, the Outstanding Aerospace Engineer Award from Purdue, the Sigma Xi President and Visitor's Award for Excellence in Research, as well as numerous other fellowships and scholarships. He is currently the chief editor of Frontier in Robotics & AI in the area of space robotics. In the past, he has served as an associate editor in the IEEE Transactions on Automatic Control, the AIAA Journal of Guidance, Control, and Dynamics, the IEEE Control Systems Magazine, and the Journal of Dynamical and Control Systems. He is a Fellow of the AIAA, and a Senior Member of the IEEE.